Here's an interesting mural that was contributed to Monday Doorways. Fabulous, it appears to want to be a series. If so, hope we see more of them from you. Now, THIS one is wonderful and is ART. I love it. So, what do you think the story is? Will more start appearing? Great mural, but what is the message ??? 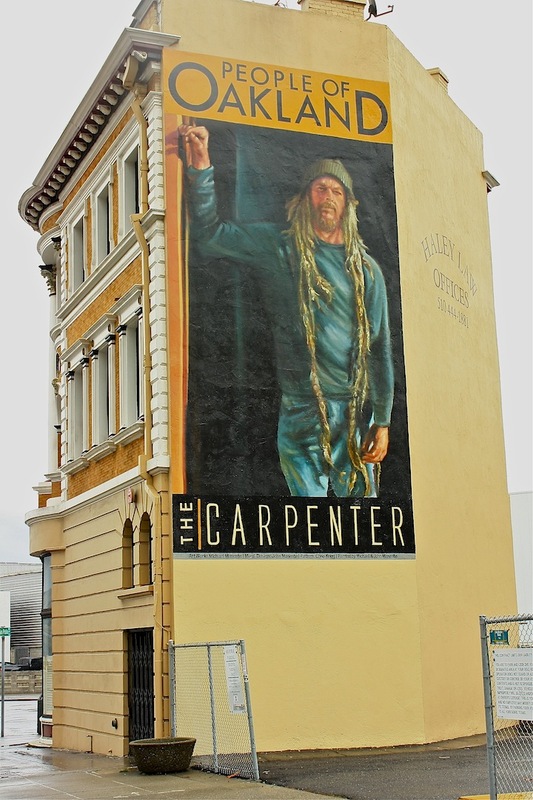 It is meant to be jesus the carpenter...in oakland...treat everyone with respect. You never know who you might be talking to.